Wedding invitations have come a long way since the time the guests were invited with betel leaves by the mother of bride or groom. The most traditional invitation where the parents of the bride invited all the guests have become complicated with today’s complex relationships. This seems to be the most general format of the strict traditional invitation. For Sri Lankans the wedding may require a poru ceremony which may be held at home or in a hotel.For Christian weddings it’s almost always a church sometimes followed by reception at home or hotel. Brides of Sri Lanka provides general templates on wording for invitations depending on which party is hosting the wedding. A very extensive guide on wording an etiquette on writing wedding invitations can be found at Southworth: Wedding Invitation Etiquette Guide. 20-20 Site has good and simple instructions of various types of wedding invitations. These include Church Wedding, Home Wedding, Informal Wedding, Second Wedding and other options too. 1. Most people visit a stationer and decide the type of card by going through the designs given by the stationer. This is more popular now because they can be also viewed through the stationer’s website and ordered online. The only disadvantage is the cost which can be high, if a large number of guests are invited. 2. For Sri Lankans the best place to find a good invitation is at the Maliban Street in Pettah (this is the street just behind St. Philip Neri Roman Catholic Church – Olcott Mawatha – Pettah). You find a lot of small shops where you can customize what they offer and finally get a quality product at the best price. 3. There’s also a number of sites providing wedding invitation templates. You can purchase them online or even find some that are for free. These can be printed out even on a good printer at home. The best thing is we can change them any way we like if we’re familiar with the format of templates. Most are available in .doc or .pdf formats. Here’s a list of places giving such free templates. Easy Printable Invitations offers some cute invitations. Invitations to just print at 983 Wedding. At Formal-Invitations you find printable templates with instructions to make the card. 4. Then again you can make a card in whatever way you like…. if you are a DIY person. The possibilities are endless. Here’s few of the ideas I’ve come across online. 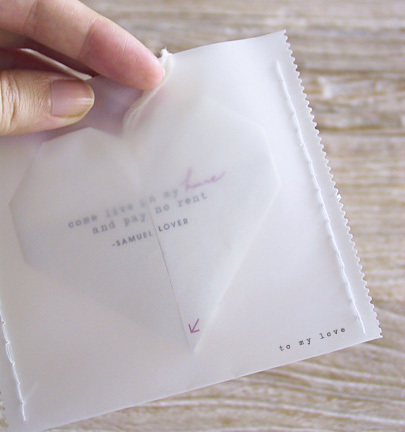 Origami Heart Love Note is a very unique idea for origami lovers. The actual folding of the heart can be found here. Quite a lot of other origami shapes can also be made into invitations. Formal-Invitations give instructions on making many types of cards with good instructions along with printable templates. If you like scroll type invitation Find Me a Gift has good instructions for you. A nice mix of invitation types at Do-It-Yourself Invitations. whoah this blog is fantastic i really like reading your articles. Keep up the great work! You already know, a lot of people are searching round for this information, you could help them greatly.